Locking your keys in the car can really put a strain on your plans for the day. Most notice the second it happens, and others usually the day after or returning to their cars. If this has happened to you and you need immediate 24 hour lockout service in Camarillo or the Oxnard area give us a call. Our roadside technicians are fully trained to unlock vehicles and have years of experience. Helping people get back into their vehicles is a regular call we get daily because it happens very often. Once our technicians arrive they will use special tools that will open your car while leaving no dents or scratches. You'll have peace of mind knowing that you are able to get back into your vehicle without any damage. For the last 10 years we have been the prime source for low cost car lockout service within the Camarillo and Ventura area. Helping drivers with savings is something we are always being thanked for. It's hard to not get mad when you realized your keys are locked in the car, and even worse is when you hear the price from other tow truck companies. When you call us for low cost car lockout service you will not only get expedited service but also the best price. This is what most consider a win win situation because no matter what, you win. Once you call our phone operators they will ask you about your vehicles location, make/model, and then issue an ETA. Since we have tow trucks and roadside assistance vehicles located in the Ventura, Oxnard, Thousand Oaks, Simi Valley, and Camarillo areas we are able to meet drivers fast. Getting your vehicle unlocked fast during an emergency is very important. 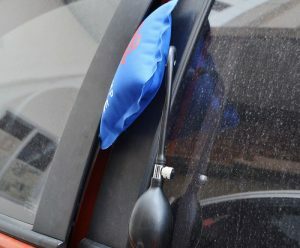 There can be various scenarios such as a baby or pet being locked in the car along with the keys. This is why anytime you are dealing with an emergency situation to give us a call and let our phone operators know. They will always arrive faster during emergencies and make your car lockout the #1 priority. We want to make sure we can help you during your emergency situation. If there is a medical emergency involved we will always advise you dial 911 in case the person in the car is in need of medical attention. For all other car lockout service related issues feel free to give us a call anytime you need affordable car lockout service.